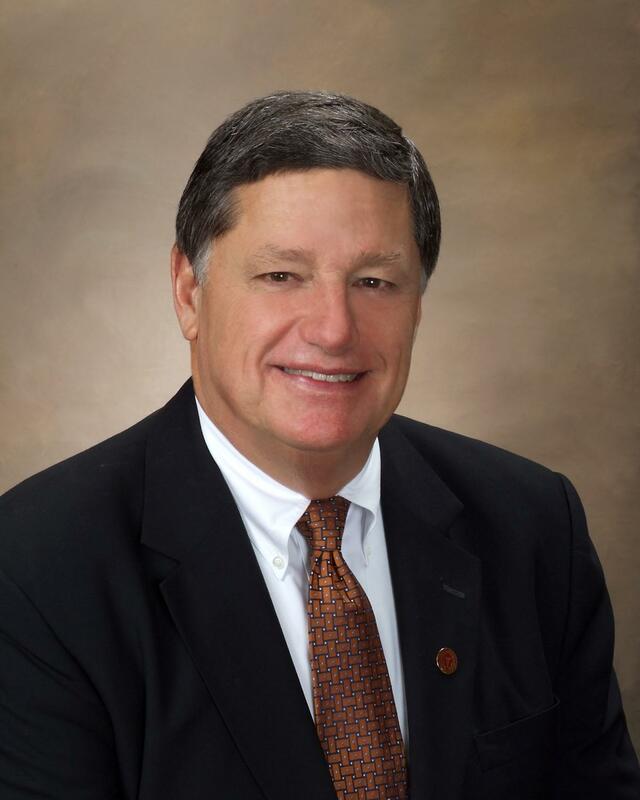 "Home of the Famous Rotary Waffle"
William Millard Choate is the Chairman and CEO of Choate Construction Company, one of the largest commercial building contractors in the southeastern United States. Since founding the company in his basement in 1989, Millard has overseen the growth of the firm from a few employees to over 480 professionals with annual revenues exceeding $1.2 billion. Coining Choate Construction’s motto “Reputation is Everything,” Millard ensures Choate’s six Southeast offices provide unparalleled construction services, guided by the moral integrity of its core values. In 2016, Millard shared Choate’s long-term success with his beloved employees by implementing Choate Construction’s Employee Stock Ownership Plan (ESOP), making Choate uniquely 100% employee owned. A native of Nashville Tennessee, he is a graduate of Vanderbilt University. Active in several organizations, Millard serves as a Director on the Board of Ameris Bank, Boy Scouts of America, and Street Grace. He is an active member in the Business Executives for National Security (BENS) and the Atlanta Rotary. He supports many organizations such as the Cystic Fibrosis Foundation, Shepherd Center, HomeStretch, Clemson University, and other military family support charities, to name a few. 2019 District Conference - San Destin Beach Resort,FL - April 25-28 - Sign Up Now! YMCA Mud Run 4 Kids - Sunday, May 5th - Ages 4-17 - Let's Get Muddy! Mayor's Corporate Challenge - August 22 - Time to Volunteer is Now! Or the committee will volunteer you. Rotary Youth Exchange is looking for a host family for the period from the beginning of the school year through Thanksgiving. The student is a high school boy. The host family must live in the Alpharetta High School District. See Lyman Louis for more information. Fresh Market –If you’ve not participated before, the sign-up sheet is passed around each meeting. This is an easy way to serve those in need by taking breads and other items from Fresh Market to NFCC to be given to those in need. Contact Lee Doernberg. I hope to see you on Friday morning! Join the Mayor of Alpharetta and a lively crowd of runners and walkers on August 23 at City Hall for the annual Mayor’s Challenge 5K Race. It’s basically a huge block party. A night of food, music and friendly competition. Held in concert with Alpharetta’s renowned Food Truck Alley! 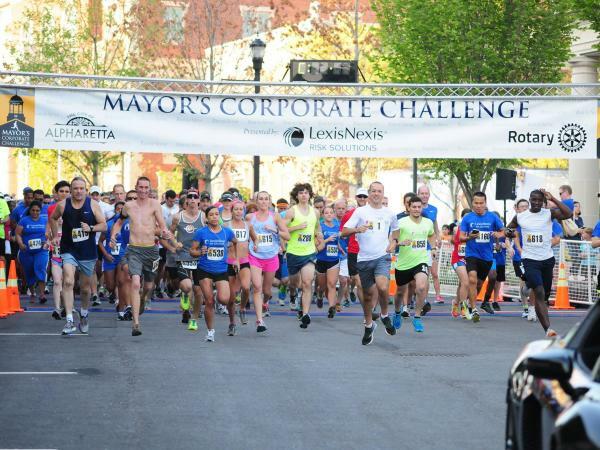 The Alpharetta Mayor's Corporate Challenge 5K Race attracts thousands of residents, corporate employees and runners. This year's venue is City Park behind Alpharetta City Hall. The new location is attracting interest from large corporate sponsors who desire a private company picnic experience while enjoying Alpharetta's most exciting night of the year. Rotary Club of Alpharetta donated $7,500 to HomeStretch in support of the great work they do in the North Fulton Community. They also completed 3 projects for HomeStretch in order to get an apartment ready for a new family to move in. On Tuesday, September 20 and on Thursday, September 22 from 10 a.m. to 3:00 p.m. each day, fellow Rotarians painted the interior of the apartment. And on Saturday, September 24 from 10:00 a.m. to 2:00 p.m., Rotarians cleaned the inside and outside of the apartment. HomeStretch is an organization that addresses some of the root causes of homelessness in our community. It is one of the few programs in the country that not only provides housing but works with the families to help stop the cycle of homelessness. 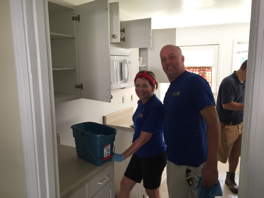 The Rotary Club of Alpharetta annually sponsors an apartment and a family at HomeStretch. In addition, Alpharetta Rotarians serve as Financial and Life Mentors for the family.